In the pantheon of cringe-worthy attempts to fabricate 2nd amendment bona fides, presidential candidates of the last several years have provided more than their fair share. From the infamous "Small Varmints"-Gate of the early Mitt Romney campaign to Hillary Clinton’s desperate revelation that she too used to be quite the hunter, I find it fascinating that a love of firearms, however phony, has become part of the electoral checklist for every viable presidential candidate. Unfortunately, too often these displays are just shallow rhetoric by candidates going through the motions. "I’ve hunted. My father taught me how to hunt. I went duck hunting in Arkansas. I remember standing in that cold water, so cold, at first light. I was with a bunch of my friends, all men. The sun’s up, the ducks are flying and they are playing a trick on me. They said, 'we're not going to shoot, you shoot.' They wanted to embarrass me. The pressure was on. So I shot, and I shot a banded duck and they were surprised as I was," Clinton said drawing laughter from the crowd. This account has been widely mocked among political pundits, and with good reason. Even if you ignore the fact that the Clintons are not exactly revered for their fidelity to the truth, the story just does not pass the smell test. The same can be said for the painfully awkward account Mitt Romney had of hunting "small varmints" in his younger days. 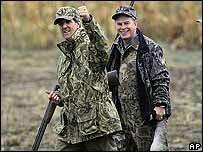 And of course, who can forget the infamous John Kerry goose hunt of 2004? There are two ways to view these faux pas. The first (and generally accepted) explanation is that it's just campaign stupidity. After a long campaign, desperate for some sort of momentum, staffers and strategists let their guard down and fail to realize that the candidate is about to make a fool of himself. But I think there's more to it than that. I think guns have become a necessity of modern campaigns. Like kissing babies and pancake breakfasts, guns are a must. The modern candidate must be all things to all people, no matter how goofy he looks. Picture Rudy Giuliani at the NASCAR race – he just didn't belong. Likewise, Mitt Romney is no hunter, nor is Hillary Clinton, nor was John Kerry. But Campaign 101 seems to hold that guns give the candidate toughness. So even when he or she may look and sound like a dweeb, it's better to be a dweeb holding a rifle than a dweeb without one. Personally, the idea that hunting alone proves the candidate is a protector of the Second Amendment instead shows that the candidate does not get it. It is the anti-gun lobby which consistently uses hunting as the standard for whether guns are appropriate or not. If Gun X isn’t necessary for hunting, it shouldn’t be allowed. And by relegating their public support for gun ownership to hunting trips, candidates are skirting the larger issue. Guns are primarily for self-defense, and the most contentious debates on the Second Amendment revolve around this fact, or the denial of it. Simply put, the Second Amendment is more than the right to hunt, and if a candidate wants to reap the support of gun owners, they need to be fluent in the details of the issue. It is encouraging that gun owners and Second Amendment issues are prevalent and powerful enough that presidential candidates feel that they need to be seen as pro-gun. 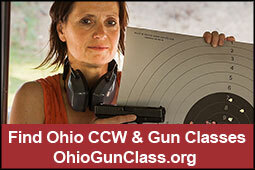 Their gaffes are entertaining, but gun owners can easily spot a phony. Candidates should engage gun owners on the real issues facing the Second Amendment, not try to pacify them with staged hunting trips and tall tales. But old habits die hard. I wonder who gets to go hunting with Obama in the fall. Brian S. Stewart is a former infantryman and an Iraq War veteran. He recently graduated from the Ohio State University with a degree in Political Science.